Do you have to pay Capital Gains Tax on Bitcoin or other cryptocurrencies? Under current UK rules, the general tax position on cryptocurrency is that it is the nature of the activities rather than the underlying asset that determines the liability to UK taxation – whether that liability is to Capital Gains tax, Income tax or Corporation tax, or whether any exemptions may apply. When is crypto activity subject to CGT? In principle, it seems under HMRC’s 2014 guidance that where cryptocurrency was acquired for personal use, its disposal could fall within particular exemptions. However, whether a particular case falls within this exemption will be fact sensitive. Care should be taken as this is a developing area if tax. So one should note that HMRC may have a different interpretation in what remains an area of tax law in its infancy. Any filing position should be accompanied with a full disclosure. HMRC guidance also raises the possibility that transactions might be so speculative that they are not taxable. Again, the specific facts and circumstances will need to support this position as it is wholly plausible that HMRC may challenge this. As such, to avoid any penalties being imposed it is important that one makes the appropriate disclosure within your tax return. Investment – subject to Capital Gains regime for individuals. In many ways, the investment status is a default position. It is the category where there is no justifiable filing position on a ‘speculative’ or ‘personal use’ basis, but the activities are not so organised to be classed as a venture in the nature of trade. Within this status, the gains and losses would fall within the Capital Gains tax regime. As such, any gains will be subject to CGT at either 10% or 20% depending on the level of other income earned by the taxpayer in the year. They should generally get the Annual Exemption which is £11,300 for 2017/18. Companies would be subject to corporation tax (19%). For individuals, looking specifically at capital gains, liability may arise where you have made a gain from crypto investments. HMRC broadly treats cryptocurrency as a foreign currency and the resulting gains and losses from cryptocurrencies (specifically larger crypocurrencies such as Bitcoin as gains and losses on foreign exchange) are treated as gains and losses on foreign exchange. In other words, where the value of a Bitcoin or other cryptocurrency has risen, that profit will be subject to capital gains tax in the same way you would be liable on profit from the disposal of certain classes of property, stocks, shares and other investment instruments through your annual self-assessment. Under existing CGT rules, disposing of your cryptocurrency by gifting or using it to buy other capital assets (including exchanging one cryptocurrency for another), you will be liable to tax on any increase in the value of your cryptocurrency between the date you acquired it and the date of the gift or purchase (subject to any available reliefs or allowances). Potentially – the investment of currency into other assets or services on an ICO. Note that for corporate users, the chargeable gains will be taxed at corporation tax rates. Capital gains on Bitcoin turns on the question of whether your activity would be deemed an ‘investment’ business. 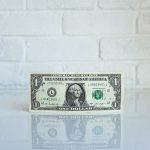 Where an activity is deemed an investment business – in other words, something that is more than an investment but less than a trade – then it might be possible that one can lock in certain capital gains reliefs. Note that this would not include Entrepreneurs’ Relief (“ER”) or Business Property Relief (“BPR”) which both require the presence of a trade. The burden of proof is on the individual to establish sufficient accompanying activity to qualify as a ‘business’, such as researching other currencies. At present, HMRC may still remain reluctant to tax any gains due to the fact that, if they do, they open the door to potential capital loss claims if the bubble burst in the future. As such, it might be the case that many investors in Bitcoin and other cryptos are unlikely to be taxable unless the holder can be seen to bring a degree of organisation to their approach. It would be fair to say HMRC is expecting to see a surge in the number of taxpayers declaring gains from cryptocurrencies this year. However HMRC’s anticipated windfall could be far less than expected where taxpayers can rely on the gambling tax-free exemption for their investment activity. This position has yet to be tested, but it is a valid concern that HMRC may clampdown on its application the profits made on cryptocurrencies as gambling profits, as many of these investors have strategies that do not rely exclusively on chance. Where profits were deemed a bet, because these bets are not placed in cash, the profits made from cryptocurrencies would still be regarded as a chargeable asset for tax purposes. Whereas the guidance states that cryptocurrency gains and losses fall under the capital gains tax system, it also says that if a transaction is speculative enough to deemed “gambling”, it may not be subject to tax – and losses would not be claimable for tax purposes either. However, this is decided on a case-by-case basis. Can you claim for capital losses? Generally speaking, for an individual, a capital loss can be offset against a current year capital gain or carried forward indefinitely. HMRC will seek to achieve a balance between raising tax from the profits but not committing themselves to allowing large loss claims. If the crypto bubble bursts and significant losses ensue, we don’t anticipate HMRC being forthcoming with tax relief for those losses, relying on the position that the transactions were so speculative that they were more like a bet – meaning no tax relief will be available for losses. How does domicile and residence impact Capital Gains Tax on cryptocurrency? An important factor is that for UK CGT purposes (excluding UK residential property and, in the future, UK commercial property) then no CGT is payable on the disposal of any assets where the individual or entity is non-UK resident. This is subject to anti-avoidance rules, including the temporary non-residence rule. It is advisable to take professional opinion on your circumstances. In addition, for a non-UK domiciled individual who meet the relevant conditions, their cryptocurrency holdings could benefit from the rebasing provisions, meaning that only gains that have arisen since April 2017 would be subject to tax. 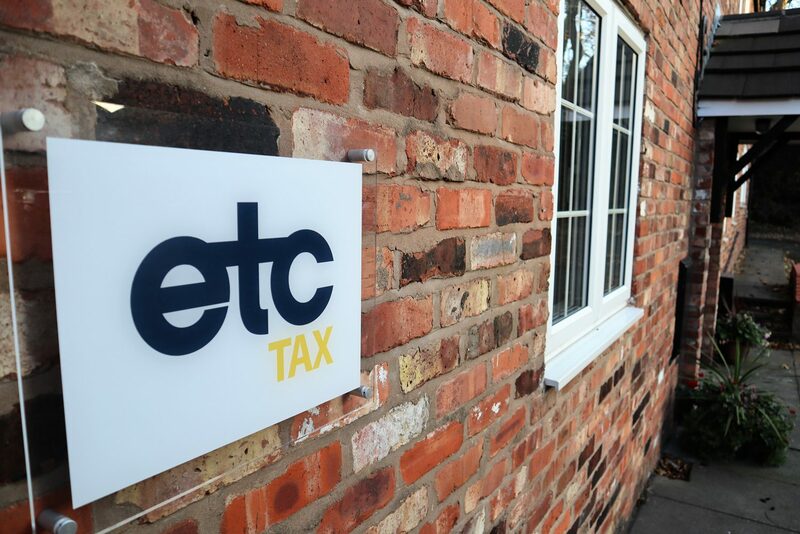 Again, we can advise on the most tax-efficient approach for your circumstances. Crypto tax remains a developing area, and we fully expect it to be subject to change in how it is taxed and regulated. Disclosure of your tax reasoning to HMRC is advised to safeguard any future position. This requires specialist advice and transparency about your activity and the resulting gains and losses. It is clear then that cryptocurrency transactions should be looked at on a case-by-case basis to ascertain liability, applicable reliefs and exemptions. ETC can help with advice to ensure your specific fact pattern is applied as required to the relevant rules. Crypto is an extensive area of taxation requiring specialist advice on your specific circumstances. We recommend seeking professional advice to ensure you are meeting your liabilities while maximising opportunities for tax planning. For advice on the taxation treatment of your transactions and dealings in cryptocurrency, contact us for a no-obligation initial consultation with one of our chartered tax advisers.